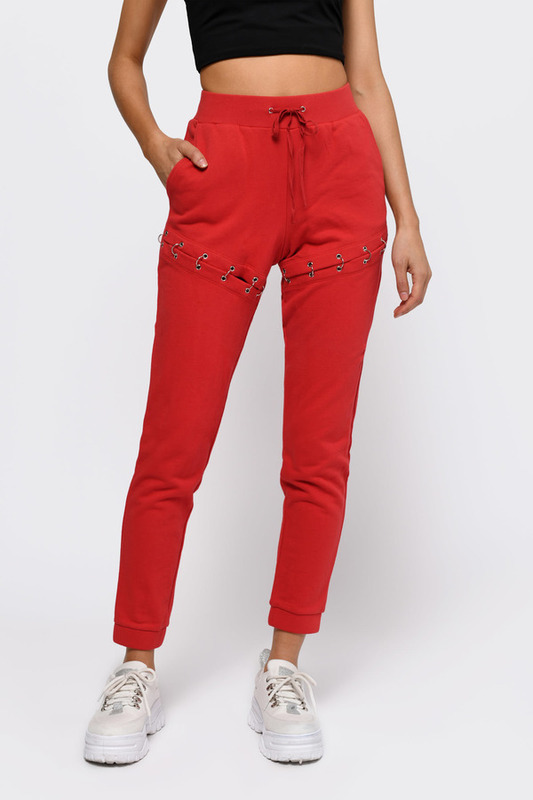 Check out Tobi's Ring Me Around Joggers Hit the streets with the Ring Me Around Red Joggers! Featuring a bull ring trim, drawstring closure, and two pocket cut on an ultra-soft french terry knit. Pair with a cropped muscle tee for an effortless everyday look. Hit the streets with the Ring Me Around Red Joggers! Featuring a bull ring trim, drawstring closure, and two pocket cut on an ultra-soft french terry knit. Pair with a cropped muscle tee for an effortless everyday look. Hit the streets with the Ring Me Around Black Joggers! Featuring a bull ring trim, drawstring closure, and two pocket cut on an ultra-soft french terry knit. Pair with a cropped muscle tee for an effortless everyday look.